After the rush and revelry of the holidays we always feel the need to cozy up with our special someone and reconnect. Sure we could squirrel away and catch up on our favourite shows but we’re in Canada and winter doesn’t stop us! No way! If you’re looking for an unforgettable date night idea in Toronto maybe we can help? We’re sharing our most heartwarming ideas of the season. 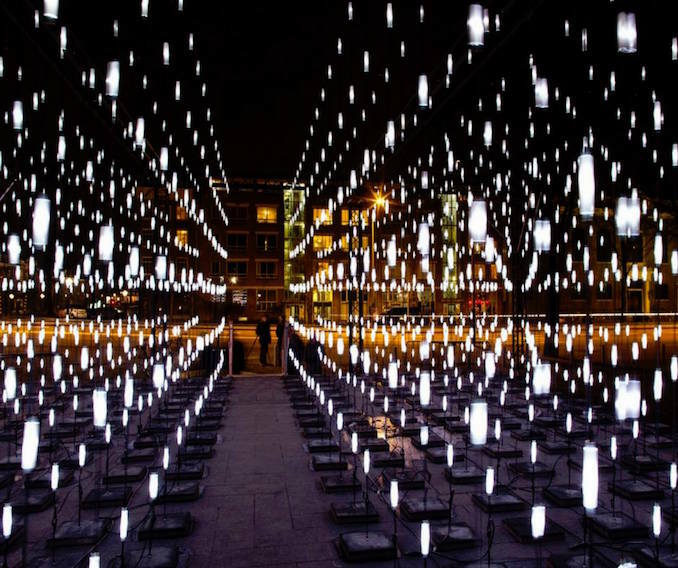 TORONTO LIGHT FESTIVAL at Distillery District: (January 19 to March 4) This very popular attraction was created to get locals and tourists out during the colder months transforming the darkness into a more warm and inviting destination. Gorgeous light installations by local and international artists somehow makes winter much more palatable. We also love it because we know we can explore the historical cobblestone laneways with our favourite SOMA hot chocolate in hand. Lights go on from 5:00 pm to 10:00 pm daily. This gives you an idea of what to expect…but not this exactly. Just the vibe! 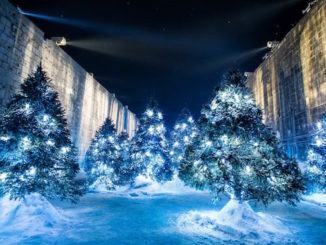 WINTER AT ONTARIO PLACE: (open now until March 18) Grab your snow bunny and experience this beautiful outdoor winterscape set on the West Island of Ontario Place at the lakefront. 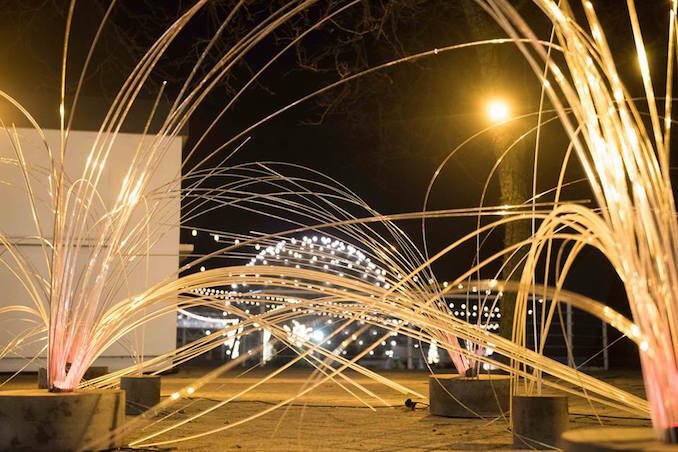 Here you’ll experience bonfires, fairy lights, and winter light installations. 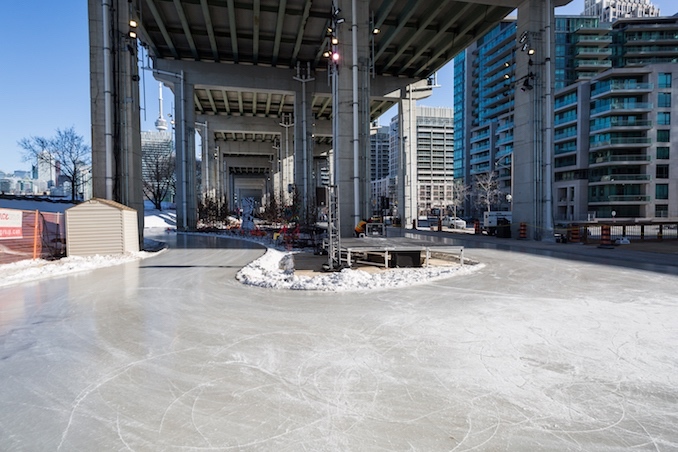 Bring (or rent) skates and enjoy the outdoor rink with the city skyline as your backdrop. Light food and beverages available onsite. General admission is free. ICE BREAKERS at the Waterfront: (January 19 to February 25) Get your smartphones ready for all the photo opportunities at this year’s Ice Breakers outdoor art exhibition. 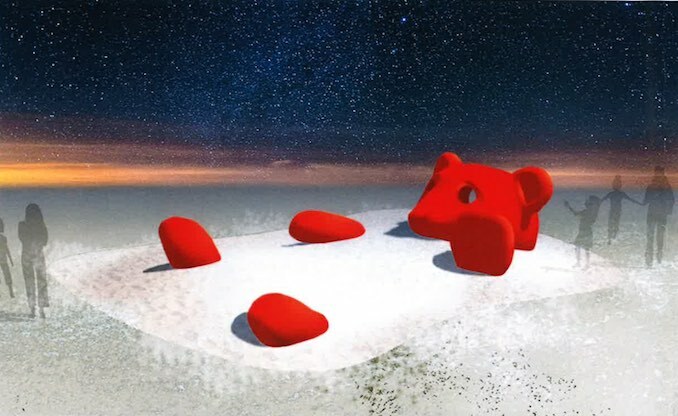 Go and check out the giant red bear in the snow, a cozy cabin, a jingling wind chime and more. There will be five installations located on Queens Quay West between York Street and Spadina Avenue. LISTENING TO ART, SEEING MUSIC at the AGA KHAN MUSEUM: (January 20 to April 22). Their multi-sensory experience transforms the world of music through immersive musical soundscapes and video installations. Visitors can wander through the spaces to experience cultures and traditions. 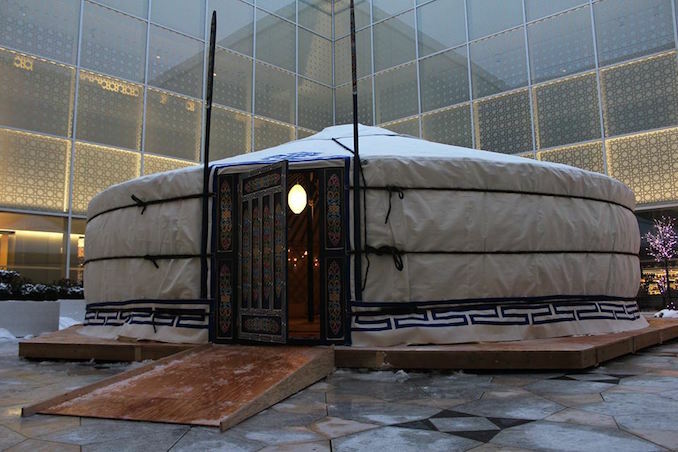 In the Museum’s central courtyard, a Mongolian yurt invites visitors to enter the communal gathering space to experience live music and storytellers. Special events also planned. Admission prices apply. 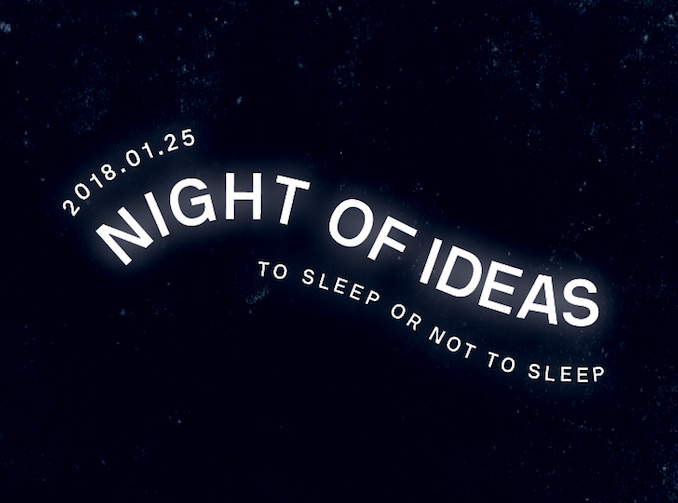 NIGHT OF IDEAS: TO SLEEP OR NOT TO SLEEP: January 25 from 7:00 pm to 7:00 am. At the Art Museum at the University of Toronto. Night of Ideas is a French-initiated, global, all-night event that is taking place in various cities around the world. Over 20 performers and speakers will focus on the night’s biggest question — to sleep or not to sleep. Attendees are encouraged to go in their pyjamas. Numerous guest speakers include international artists, writers, philosophers, neuroscientists and others who will have conversations on the the cultural importance of dreaming, the meaning of downtime and other subjects related to sleep. The evening will also include an 8-hour lullaby on CIUT FM at 10:30 pm, a midnight swim in the the Hart House pool and an exhaustion dance performance. Food donations accepted for Covenant House. 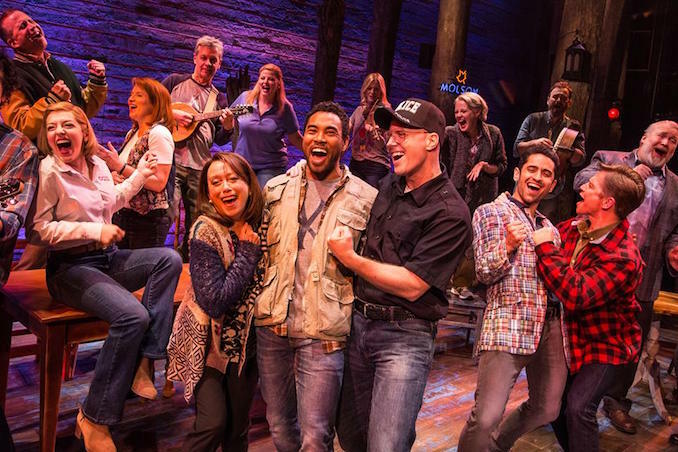 COME FROM AWAY at The Royal Alex Theatre: (February 13 to September 2). If you’re looking for an inspiring and uplifting musical to check out, this is the one everyone should see. This feel-good story restores our faith in humanity and we really need this now. What happens when thousands of air travellers find themselves stranded in Gander, Newfoundland. This is truly a remarkable story filled with human kindness and generosity in the darkest of times based on real people and their stories. 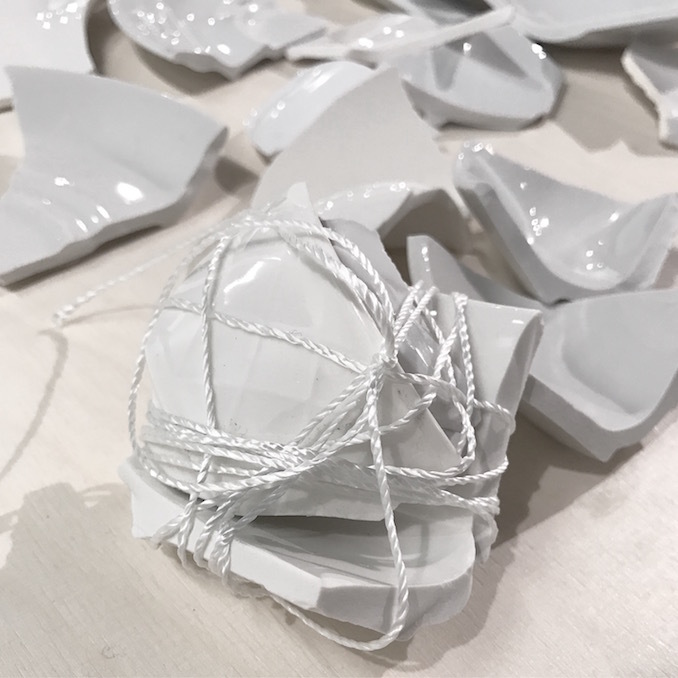 YOKO ONO: THE RIVERBED at The Gardiner Museum: (February 22 to June 3). This three-part contemporary art installation by Yoko Ono is not to be missed (we visited one of her exhibitions in Iceland and spent a lot of time exploring the themes). Her works often involve collaboration, audience participation, and social activism. Special events including an intimate concert presentation by three local artists will be a worthy date night. YAYOI KUSAMA: INFINITY MIRRORS at The Art Gallery Of Ontario: (March 3 to May 27). The most highly-anticipated contemporary art exhibition is known to have fans waiting in queue for hours will arrive here in the city soon. Torontonians are officially #InfiniteKusama spotting as red dots are appearing in all different public spaces. 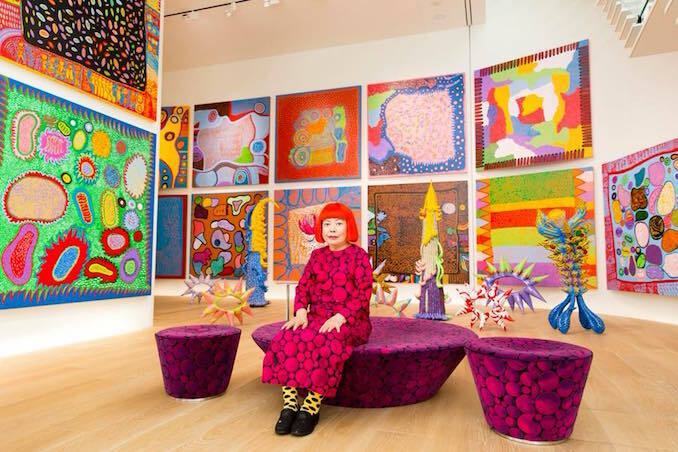 The popular Japanese artist’s exhibition will provide visitors with the opportunity to experience six of her most iconic kaleidoscopic environments alongside large scale installations, sculptures and more. The exhibition also debuts some of her new works. Public tickets go on sale online starting January 16. Don’t wait. It will sell out quickly. 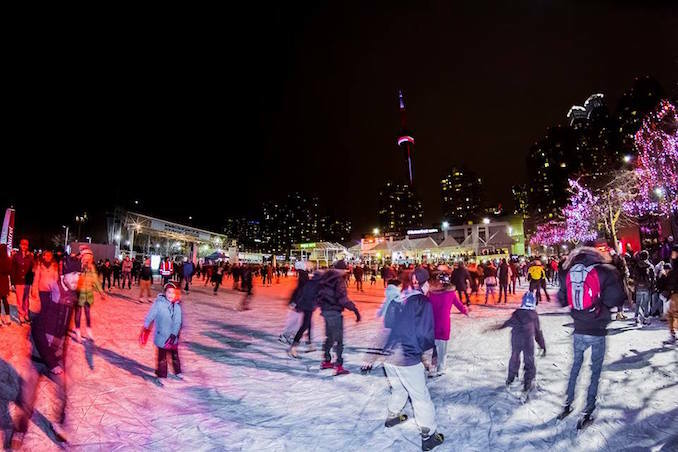 DJ SKATE PARTY at Harbourfront Centre (Natrel Rink): Lace up your skates and join this outdoor winter party. Live DJs turn up the heat every Saturday night until February, from 8 to 11 pm. Free admission. Skate Rentals also available for a fee. 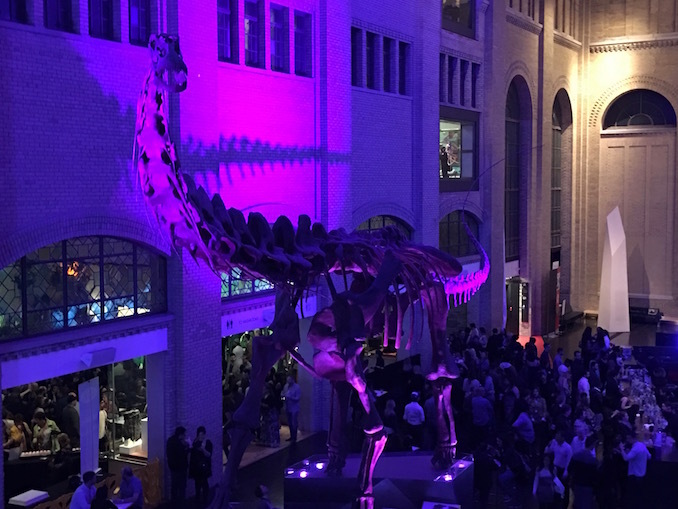 ROM FRIDAY NIGHT LIVE – ENCORE: The very popular party that blends culture, history and arts with DJs, live music, and hottest food offerings returns in January. For those who keep asking us where they could go to dance, that’s fun and unpretentious. This is great fun! 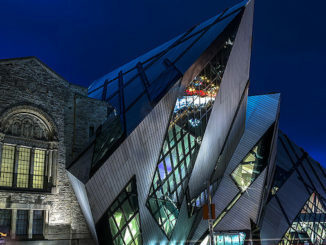 Entry to the party includes access to some of the most popular galleries at the ROM including the latest exhibitions. Different theme each week. Food vendors and Cash bar available. 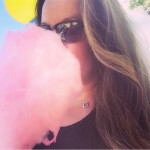 Ticketed event – best to order early online. SKATING AT THE BENTWAY: Toronto’s most talked about skating rink recently opened in the most unexpected place. Located under the Gardiner Expressway stretching from Strachan Ave. to Bathurst St. this outdoor public trail spans 1.75 km. Skate rentals are available. Just look for the shipping containers. 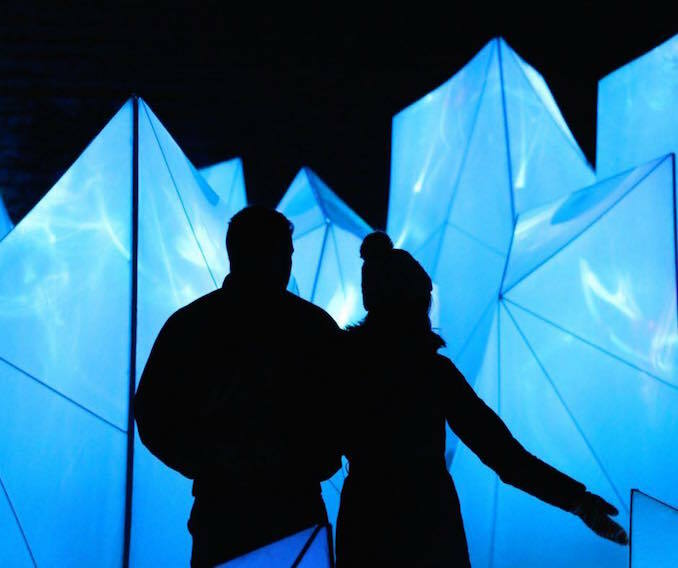 BONUS: LUMINA BOREALIS in Kingston, Ontario: (until February 19, 2018) Bundle up and bring your good walking winter boots and head to Fort Henry National Historical Site in Kingston to experience this enchanting outdoor trail. 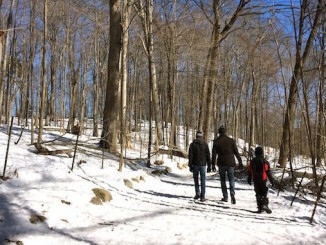 This 1 km long trail takes about 45 minutes (leisure walk) through a beautiful night time walk through a winter wonderland. General admission for adults $16 per person. COVER PHOTO: Lumina Borealis in Kingston, Ontario.